With the Paris terrorist attacks in the headlines last month, I thought I’d spend this month’s newsletter talking about security and safety while traveling in Europe. More than 500 million international tourists are expected to travel in Europe in 2016, and Europe has 6 of the top 10 most visited countries in the world (France, Spain, Italy, Turkey, Germany, UK, and Russia). European travel is going to remain popular, but how should the threat of violence impact your vacation decisions? Throughout the years, I’ve vacationed in more than 140 European cities on 5 different continents in my wheelchair, so I thought that I’d share a few of my thoughts about traveling safely and securely in Europe. First, it’s up to each individual to make their own vacation decisions. Should you avoid Boston, New York, Paris, Charleston, London, and San Bernardino? Should you avoid all 50 countries in Europe? This is something that only you can decide. I can tell you that when I make my own vacation decisions, I understand that there is risk wherever I travel…and there is risk in staying at home. In fact, I am much more comfortable hanging out on Piazza della Signoria in Florence than hanging out near the downtown bus station in my hometown of Houston. So I will continue to travel, including trips to London and Paris this upcoming year. I plan on making smart choices and having some great, memorable trips! Here are some tips to help make you travel more safely AND put your mind at ease. 1. Register if you travel abroad – Prior to your travel, you can register your travel with your national government (if possible). In the U.S, American citizens can enroll in the State Department’s Smart Travel Enrollment Program (STEP), which is a free service that allows nationals traveling abroad to register their trip with the nearest U.S. Embassy or Consulate in case of an emergency. 2. Check for travel alerts and warnings – It’s always advisable to check your government’s website for Travel Alerts and Warnings, and educate yourself on security information about your travel destination (note that an “alert” is time-limited, often for 90 days before it is reviewed again). Also, remember that an alert is not necessarily stronger or weaker than a caution ). Of course, when you book a Sage Traveling accessible travel package, we take care of this for you. 3. Purchase “cancel anytime” travel insurance – If you decide to cancel or reschedule your trip, travel insurance can protect your vacation investment. It can also cover you in case something goes wrong during your trip. Our travel consultants can help you choose a policy that covers travelers with any pre-existing medical conditions. 4. Stay in an accessible boutique hotel in a safe neighborhood – You may feel more comfortable staying in boutique hotel instead of a western chain like Hilton or Westin. When there are only 30 to 50 rooms in the hotel, the front desk warmly greets everyone by name. Centrally-located accessible boutique hotels are few, so be sure to book early! 5. Take a cruise – If you just want to get a taste of multiple cities without actually spending the night in them, a cruise is an easy, accessible way to do it. Donna or Danielle can help you choose the best cruise itinerary for your budget and interests. 6. Tour with local guides – I suggest taking a private guided tour on the first or second day in each city. 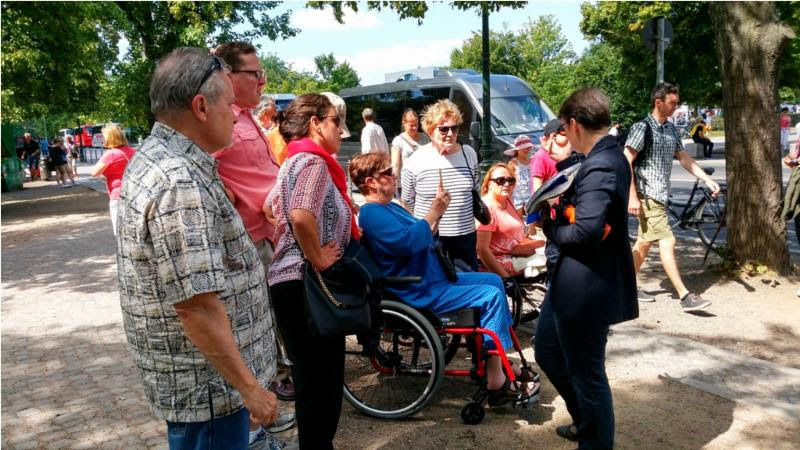 During your private tour, you’ll have plenty of one on one time to discuss areas of town that you might want to avoid as well as more enjoyable topics like where the best accessible restaurants are located. 7. Expect to see an increased police presence – Traveling in 2016 is not just about being safe, it’s also about feeling comfortable. Seeing a high amount of security professionals, including military, at several public places such as the Vatican and the Eiffel Tower doesn’t mean that you should stay away. Many European governments have increased security measurements to protect you and as a part of that you may see more police in the streets. 8. Reserve emergency support before your trip – I can’t stress this enough…you will have a much more enjoyable vacation if you have the peace of mind that emergency support is just a phone call away. If there is a security issue during your trip, you will definitely want help to get you home safely. At a minimum, you need someone in your destination country and someone outside your destination country to assist you in case of emergencies. Our accessible travel consultants have a wealth of experience solving accessibility emergencies, and our accessible travel packages with 24/7 emergency support are a wise choice versus traveling alone. 10. If you’re still not comfortable, you can visit off-the-beaten-path destinations. For example, we’ve got some spectacular accessible Tuscany packages where you can stay in an accessible hilltop villa while visiting wineries and small villages like Montepulciano, Monteriggioni, and Radda in Chianti. These accessible villas are few and are already booking up, so contact us this month! 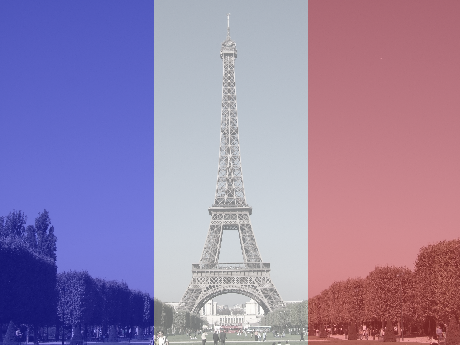 We recently had a client whose plane was re-routed due to the Paris attacks on November 13. All of a sudden, they weren’t visiting Paris with a disability…they were visiting London with a disability. Within a matter of hours, we had reserved accessible hotel accommodation, scheduled accessible transfers, and booked accessible tours in London. Instead of a stressful trip, they had a great vacation! “We had been asleep an hour when my sister used the emergency number to wake us and tell us of the attacks in Paris. I saw then that Jennifer from Sage Traveling had already called twice to check on us, to offer to help and to let us know that the driving tour scheduled for Monday was impossible. After conferring, we decided to change the direction of the trip and start, rather than end, in London…What a relief to arrive in London to find that Jennifer had booked us into a full service hotel located in Westminster within walking distance of London Eye. Westminster Abbey, Parliament, Big Ben and Waterloo Station. In addition, she sent the Sage accessible London guide. I was jetlagged and tired but felt empowered to re-plan the trip. Hiring someone to assist you in case of emergency is a wise investment. Our accessible travel packages help you avoid trip planning mistakes, increase your safety, and improve your peace of mind! Still have questions about safe travel in 2016?